Ioanna holds an MSc in Finance from Imperial College, London and a BSc Honours in Economics from City University, London. She has over 10 years of account management background with a major marine insurance broker and is a qualified marine insurance broker, certified by the Bank of Greece. 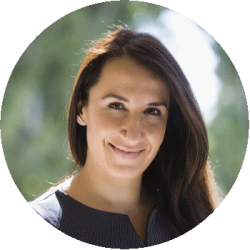 Ioanna who began her career working for a leading Greek bank before moving on to the field of marine insurance, holds now the title of office Manager and is responsible for all ongoing matters of Aries in conjunction with handling the P&I and all financial issues.